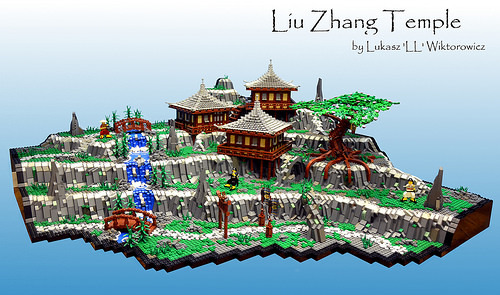 Lukasz Wiktorowicz crafted a beautiful oriental diorama featuring three temples nested on a tiered landscape. Check out the innovative and realistic technique used for the roofs and the waterfall. Great work – I particularly like that it’s done on an irregular base, and with features that are not at 90 degrees to each other!